A depiction of Siddhartha Gautama subduing the demon king Mara shortly before attaining enlightenment. 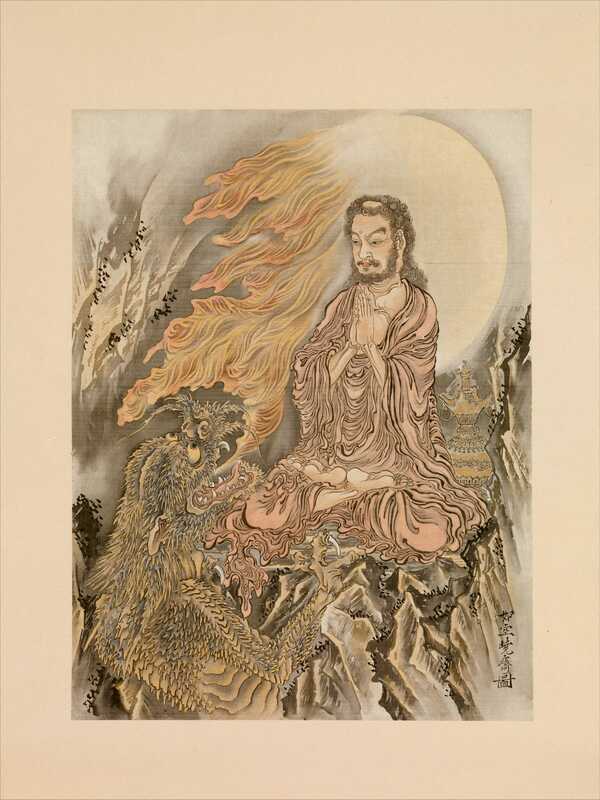 “Shakyamuni Conquering the Demons,” ca 1888 by Kawanabe Kyōsai. 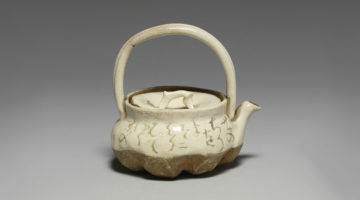 Courtesy of The Met. Fellow Buddhists, we need to talk about power. Discussion of power is largely absent in the American Buddhist community. For some, this is due in part to privilege; many of us are blind to our own power. For others, it stems from avoidance, a defensive reaction to past traumas connected with religion and authority. We may have seen or experienced models of power that were corrupt and exploitative. Many of us come to Buddhist practice looking for healing and serene contemplation. We hunger for peace. Engaging with, or even acknowledging, power can feel fraught, so we attempt to flatten hierarchies, ignore inequities, and meditate on peace, love, and harmony. Those who believe Buddhist practice means detaching from worldly concerns might easily wonder why so many Buddhists seem obsessed with social justice. But not everyone has the luxury of turning a blissful, blind eye to issues of power. For those of us who are part of an oppressed group—Native Americans, immigrants, women, brown and black people, LGBTQIA individuals, or those living with a disability—social inequality is an unavoidable fact of life. As hate speech becomes increasingly mainstream, the simple desire to express our human dignity and to speak up with sanity on behalf of our own sacredness and that of others is seen as incendiary. Waking up and responding to the realities of others’ suffering is an organic extension of the wish to develop awareness through Buddhist practice. Just because we avoid talking about power doesn’t mean we are unaffected by it. Power and hierarchy still unfold amidst our silence but are left to manifest in unconscious ways that promote suffering. This is the problem with the defensive avoidance of traumatic material: it always returns, resurfacing again and again until we can see our way through it. And we must see our way through it. If we avoid talking about power and social action, Buddhist ideas lose their relevance. We can’t speak of healthy love and compassion without addressing power dynamics. We can’t talk about interdependence without paying attention to the needs of the collective. It’s easy to say we love all sentient beings and to talk about universal compassion and empathy as abstractions. But how do we enact love and compassion on the ground, in real life? The Buddha taught to a diverse community, and in doing so broke down social barriers and challenged the existing frameworks of power. 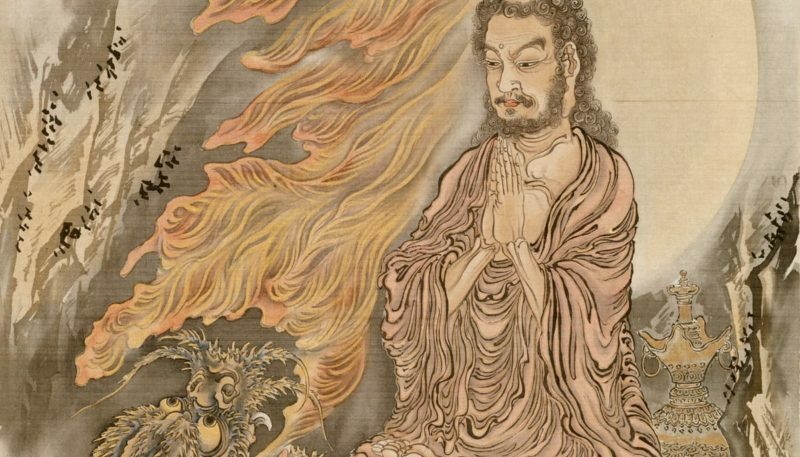 Buddhism has a history of reimagining power and struggling for social justice. For example, metaphors of power and wrath have played a continuing role in reimagining power dynamics in Tibetan tantra. For true healing and liberation to take place, whether individually or collectively, Buddhist engagement with the discourse around power is necessary; if American Buddhism does not express its own power, based on virtue and human dignity, then it will be an impoverished Buddhism. Five examples from history provide guidance and inspiration for how we Buddhists, with wisdom, might take up our own power. The Buddha himself provided the earliest example for us when he challenged the dominant social structure of his time. In a culture organized around the caste system, the Buddha put forward the radical idea of spiritual equality. In his society, only those born into the Brahmin caste were eligible to become the privileged bearers of spiritual knowledge. 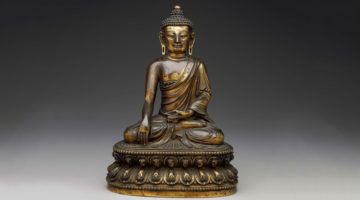 In a drastic departure from the cultural norm, the Buddha’s teachings were inclusive and action focused. He taught to a diverse community, and in doing so broke down social barriers and challenged the existing frameworks of power. He insisted on inclusion and challenged entrenched systems of privilege by asserting that mere circumstances of birth do not make one spiritual. It is one’s actions, he insisted, not one’s caste status, that determine an individual’s spiritual worth. From the present perspective of American social mobility, it’s easy to criticize the rigidity of the caste system while forgetting that, not so long ago, America, too, was deeply segregated. The idea that certain people were inferior, could contaminate others, and therefore had to be separated from civilized society was widespread. We still live in the shadow of this idea. 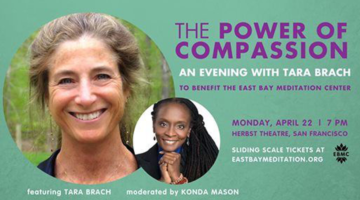 When we have compassion and empathy, our power is a liberating and inclusive force. Chögyam Trungpa Rinpoche’s teachings on warriorship offer another example of expressing power in a Buddhist context. In his development of the Dorje Kasung, a group of protector students who wore military uniforms, he was directly engaging Buddhism within frameworks of power. He said, “In the face of the world’s great problems, we can be heroic and kind at the same time.” He taught that gentleness was our greatest weapon because it allows us to “extend ourselves in situations properly.” In other words, when we have compassion and empathy, our power is a liberating and inclusive force; we can extend ourselves in ways that connect with the true needs of others. A story from the life of Milarepa, one of Tibet’s most famous yogis and poets, illustrates this idea. One day, when he was spending his days meditating in seclusion in a mountain cave, he went out to collect firewood and returned to find that demons had invaded his cave. They were throwing his texts in the air, eating his food, and standing on his shrine. When they saw him, they threatened his life and told him this was their cave now. 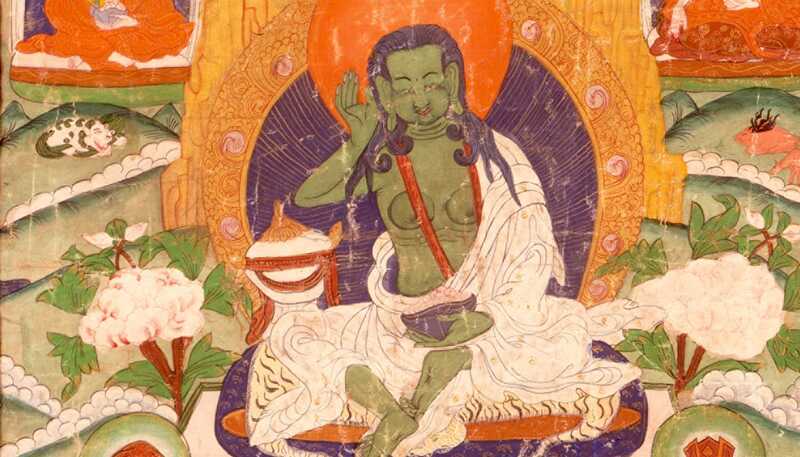 During his youth, before converting to Buddhism, Milarepa had learned black magic. He had been a survivor of domestic abuse, and when he came of age he used black magic to take revenge on his abusers, murdering them. So, when he found the demons, his first impulse was aggressive—to fight them with magic incantations. But the more he fought them, the bigger they grew. Then he tried to meditate them away, telling himself, “This is empty. This is just made up of my mind.” But the demons only became nastier and more irritating. This nihilism, too, represented a kind of aggression. Finally, he surrendered. He sat down, sang to them, and welcomed them as his friends, even serving them dinner. While they ate, Milarepa offered the demons a dharma teaching, and as they listened, they gradually calmed down. Over time, their minds were changed and they became Buddhist practitioners. Detail from a 19th-century painting of Milarepa, courtesy of LACMA. Milarepa outsmarted the demons. Rather than continuing to use brute force, which was useless in that situation, he approached them with the spirit of education. This is what it means to extend ourselves properly in a situation. We take time to understand what is really needed, then we give that. Underlying all racism, bigotry, and sexism is ignorance—and ignorance can only be resolved by education. This means we must talk to people in our lives. Maybe we don’t have an enormous public platform, but if we speak up every time we hear bigotry, if we talk back with intelligence and raise awareness, it will make a difference. This does not mean we should not also stand up, resist, draw boundaries, protest, or push back. We have to. Love requires this. Bodhisattva activity requires this. It is harmful for others when we enable their neuroses. But watching our intention and emotion as we respond is paramount. Our keen presence, compassion, and straightforwardness can transform ordinary action into enlightened activity. At the same time that it helps our world, it furthers our training and tames our own minds. As every parent knows, we can remain gentle at heart while still applying discipline, setting limits, and saying no. The Buddhist women’s movement offers us a more contemporary example. Right now, in our lifetime, we are witnessing monumental change in the unprecedented rise of women taking their places as Buddhist leaders and teachers. A catalyst for this was the inception of the international Buddhist women’s movement and the Sakyadhita International Association of Buddhist Women in 1980s. Sakyadhita means “daughters of the Buddha.” The organization’s goal has been to reclaim and reconsider the roles of Buddhist women within the multiplicity of Buddhist texts and traditions. This movement has been incredibly diverse, including women from developing nations, academics, monastics, householders, and yoginis. Sakyadhita now has nearly two thousand members in forty-five countries around the world. Historically, women in Buddhism have not had equal social position, economic status, or religious authority. But this is changing. Just last year, we saw the graduation of the first class of geshemas — the doctorate degree for women in the Gelugpa order. Since the eighties, we have also seen many khenmos, the doctorate degree for women in the Nyingma and Kagyu orders. In fact, there were more khenmos than khenpos in Larung Gar, which, at its heights, was one of the largest Tibetan monastic communities in the world. Last year in Los Angeles, an American Buddhist women’s conference focused on Buddhist perspectives on race and inclusion, while the Sakyadhita conference in Hong Kong looked at contemporary Buddhist women. The intrinsic power we uncover in meditation is different; it is a power no one can give to us and no one can take away from us, the power of self-existing wakefulness. The international Buddhist women’s movement displays a peaceful, sane, and loving model of power. It has retained these qualities in part because it has focused on concrete change. Ven. Lekshe Tsomo explains that the vision was based on grand principles: “to work together to benefit Buddhist women, reduce gender injustice, and awaken women to their potential for awakening the world.” But the actions have been quite specific: establishing retreat centers, advocating for women’s full ordination, conducting research, gathering together for conferences, sponsoring women’s education projects, publishing, and more. Assuming a life of service and positive action is a natural expression of bodhichitta. It’s also enormously satisfying; it is exhilarating to live for a greater purpose beyond oneself. Focusing on concrete change and working to create the world we want to live in can be a gateway to peace. Even if we fail, we are fulfilling our purpose. The meditation movement in America is itself a model of redistribution of religious power. Adopting meditation and making it universally accessible rests on an assumption of universal human equality—that all human beings are endowed with a capacity for waking up, that any one of us could meet our mind in the same way that Buddha did. We can sit in the same position as Buddha. We can do the Buddha’s practice. We can see what the Buddha saw. Because we all have within us intrinsic goodness, every one of us has a capacity to experience that same power of authentic presence. Some people have asked, though, whether meditation alone is really enough. No, it is not enough. No one thing is ever enough. But it is a crucial beginning. We have to take seriously how social inequality sustains itself. It’s not something that happens only on the outside, something that those other bad guys create. It is not manufactured and maintained by bigots alone. The reason racism and sexism are so ubiquitous is that we all carry those scripts inside of us, in our own minds. We are deeply habituated beings, and we don’t tend to examine our assumptions or question our own thinking. When feelings overtake us or thoughts repeat themselves, too often we act as blind believers. If we are ever going to uproot racism, sexism, and other forms of bigotry, we have to begin by establishing sovereignty within our own minds. Meditation offers us a means to exercise power in a way that is not based on hate. It’s easy to get caught up in polarizing vitriol. Our reactions to social injustice can trigger our tendency toward aggression. But aggressive hate provides a flawed form of power—a borrowed form that depends on subjugation and exploitation of others to continue. The intrinsic power we uncover in meditation is different; it is a power no one can give to us and no one can take away from us, the power of self-existing wakefulness. The more we wake up to our natural goodness, the less we are exploitable. The more we wake up to our natural wisdom, the less we hesitate to take positive action and speak up. There is something profoundly dignified and sacred about us. We just have to face ourselves to find it.